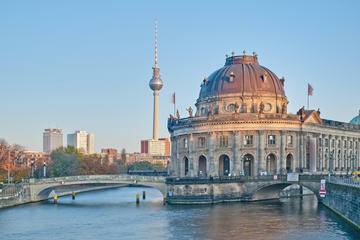 Berlin, Germany has become one of the most interesting and exciting cities in Europe to visit. You can go back in history to a church from 123o A.D., to the more recent history of the fall of the Berlin Wall and the ever-changing city and rejuvenating neighborhoods. Berlin is a terrific city from a runner’s perspective, but it takes some planning because it is big and sprawling. 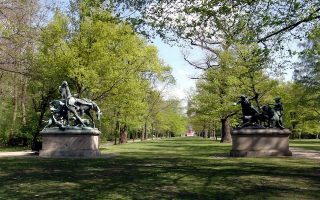 From the city’s center, there are wonderful runs around some of the most important sites and monuments, along the Spree River, and into some wonderful parks, notably the Tiergarten. 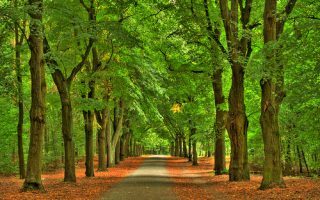 Just outside the city, highlights include the Grunewald Forest, Spandauer Forest, Tegeler Forst, and some wonderful parks for running near the convention center and airport. If you have the time, hop on a train and go to Potsdam and do the ‘Palace Run’. The Tiergarten is the running capital of Berlin. 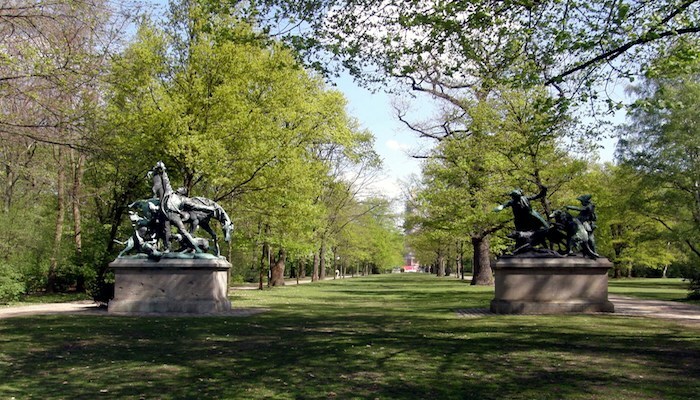 A vast, 545 acre green space right in the city, Tiergarten is a running paradise for locals and visitors alike. 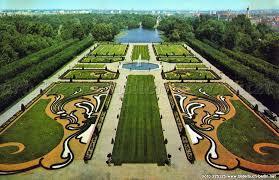 The largest palace in Berlin, with lovely gardens. Perimeter paths are ~ 2 miles with more possible in the interior. 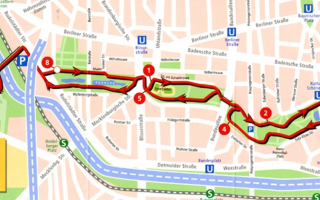 A “runseeing” tour of 7.5 miles, incorporating Berlin’s highlights. Jump on or off depending on location. An island in the heart of Berlin with important museums and buildings. Run ~4 miles on the island and along river paths on either side. Treptower Park is a good anchor point for running in east Berlin. 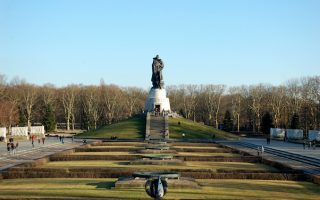 Numerous paths that can be combined with a run along the Spree River and the Soviet War Memorial. 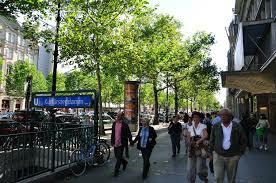 Berlin’s most important commercial street, lined with cafés, clubs, stores, and restaurants. A there and back along the main sections of the road is ~4.8 miles. A pleasant run in east Berlin, taking in the trails along the Landwehr Canal and Gorlitzer Park, with its big open fields and paths. 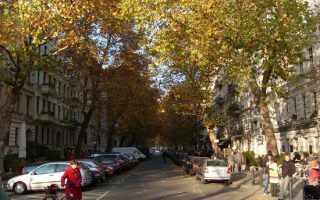 Prenzlauer Berg and the Wilmersdorf are great neighborhoods for running. 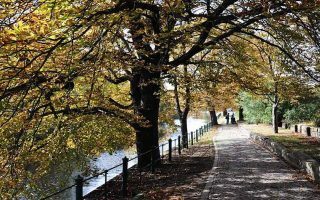 Volkspark Wilmersdorf is a lovely linear park that has a tour of 5–7k. 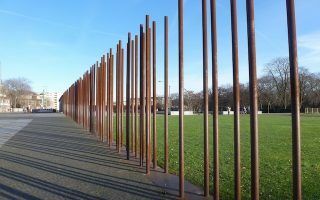 A fascinating run in a park dedicated to the Wall memorial, 1.4 km paralleling Bernauer Strasse. Information posts along the way. Includes jaunt into Park am Norbahnhof. Volkspark Rehberge, Goethe Park, & Volkspark Jungfernheide are great running near the airport. Volkspark Friedrichshain, Spandauer Forest, Tegeler See are also great. Click on link for full details. 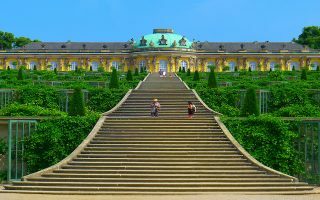 15 miles from Berlin and an easy train ride, Potsdam is a fabulous place to visit. Our route highlights the famous castles and landmarks. Great additional options. At 7,000 acres, the largest park in Berlin. Nearly 100 miles of roads and trails. Three lakes with good perimeter paths. ry spread out — about 5x the size of Paris, and distances are big. So, best to plan your runs and where to stay, and use the fabulous transportation system with extensive subway (U-Bahn), rail (S-Bahn), and bus lines. Topographically, the city is fairly flat. For some hills, go to Volkspark Friedrichshain . 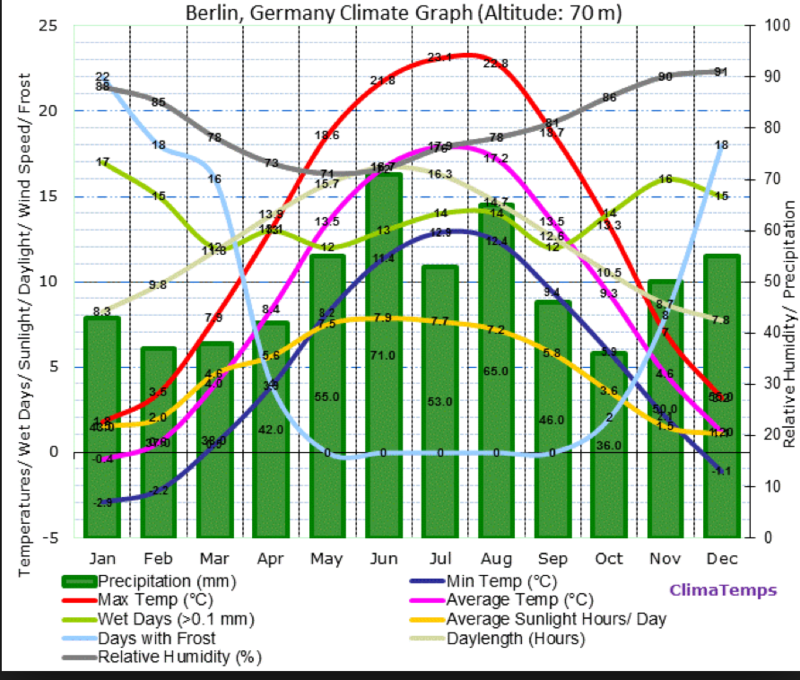 Berlin climate is typical of continental Europe. Winters are cool but not frigid. Summers can be warm and humid but not hot, with lovely long days. Rain is spread throughout the year. Lots of hotels in area between Tiergarten and Museum Island. Near airport: Don’t despair. Good running here in Volkspark Jungfernheide and Tegler See. Convention Center. Conveniently located. 3km north of Tiergarten, 3km south of Volkspark Rehberge. Spandau. Quite a number of hotels here, and close to forest/park. Many of the running shoe companies have running stores in Berlin. Runners Point. Has 5 stores in the Berlin area. Most central is in the Berlin Mall, and in Spanauer. Apparently their Ku’damm location is closed. A fast growing group run culture. Nike Store. Near Tiergarten. Group runs. Spreeläufer. Good running store in Prenzlauer Berg area. Puma Store and Adidas Store, Potsdamer Platz, and a couple of other locations. Mike’s Sight Running. Has wonderful running tours of Berlin. SFB running club that meets every Saturday at 2 p.m. at the Siegessaule in the Tiergarten. Groups break up into all levels, from a slow 15-minute run to longer than an hour at a faster pace. Running in Germany. Good site for info about marathons and other interesting races in Germany. Berlin Marathon. September. One of the world’s three largest and best marathons. It has two gentle inclines at miles 17 and 21. 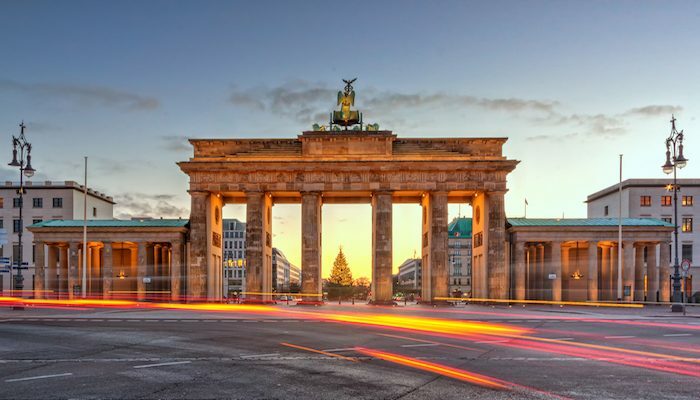 Otherwise, it’s a fast, flat course through the whole city, and 800 years of history with a spectacular new finish, through the Brandenburg Gate. Big 25 Berlin. May. An undulating urban route that starts and finishes at the Olympic Stadium. Great race, going back to 1981, through Berlin sites. Berliner City Nacht. Summer. This summer evening 10-K starts at the Europa Center Mall and runs down the Ku’damm.